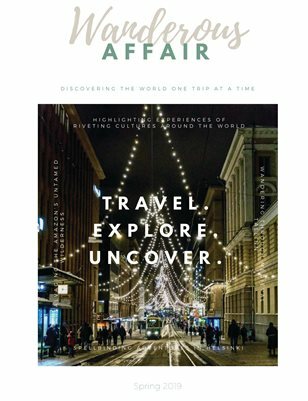 A magazine that explores the world one trip at a time. In this Spring 2019 issue, our writers share their experiences of amazing cultures around the world. This could be anything from particular dishes, events, history of a given country, and anything in between! Within these pages, we have stories from the steaming saunas of Helsinki, the resurrected Medieval Age in Tallinn, a salvaged piece of the Amazon in Lençóis Maranhenses National Park, and so much more.